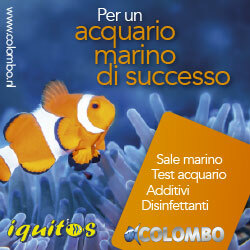 Equo presents for the first time on the market a supplement line, called Coral Reef 1, 2 e 3, suggested for a correct maintenance of a marine aquarium concerning triad and chemistry. Indeed we are talking about micronutrients, trace elements and mineral salts supplements. 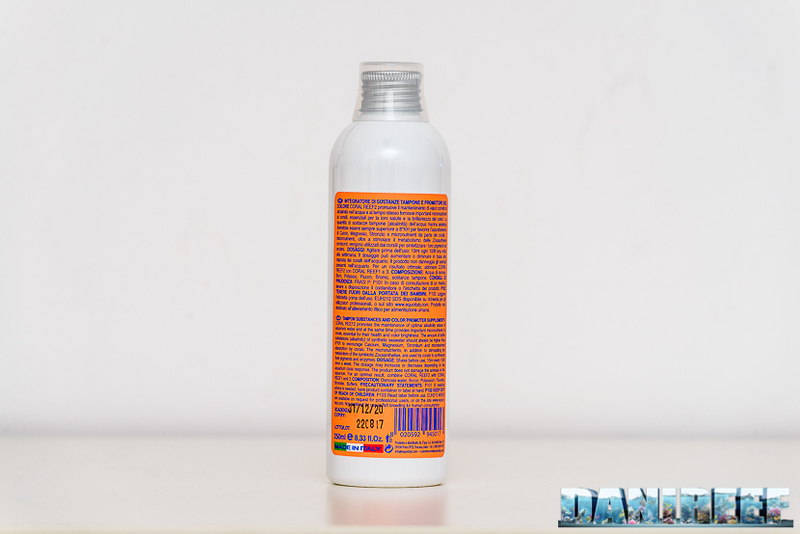 Every product has expiry date and batch number stamped on the package in a clearly indicated way. Moreover the packages are now made out of white plastic, following the new Equo philosophy introduced since from Nurnberg Interzoo 2016 (here). 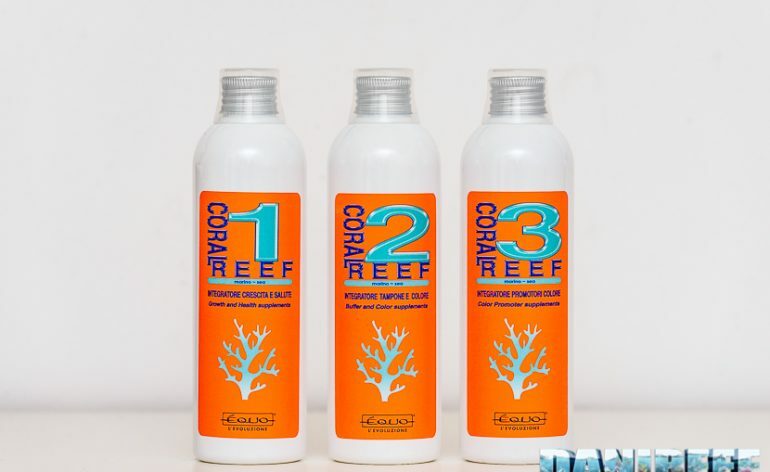 Coral Reef 1 provides Calcium, Magnesium and Strontium in the correct proportions. These three elements are vital for a proper calcification of the limestone corals, both LPS or SPS. Coral Reef 2 provides Boron, Potassium, Fluoride, Bromide and above all buffer substances (alkalinity or kh) in the right proportions. These elements are necessary both to stabilize pH and to restore the microelements that are consumed in aquarium, and they have a direct result on coral’s coloration, especially due to the micronutrients. 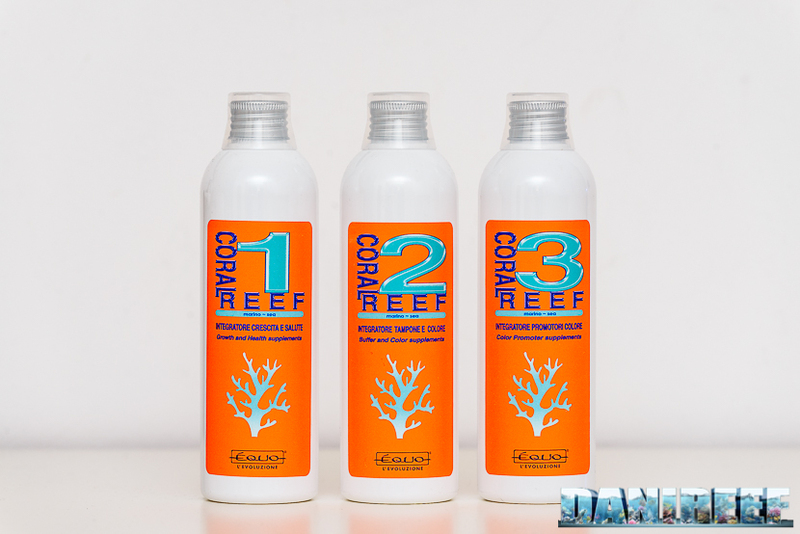 For best results, and to keep a balanced aquarium, Coral Reef 2 should always be used together with Coral Reef 1 and always at the same concentrations. Coral Reef 3 comes full circle together with the other two products. Indeed they are mainly trace elements that complete coral requirements. Specifically we are talking about Lithium, Aluminum, Iron, Nickel Zinc, Chromium and Iodine. These elements have direct results on corals coloration too, and iodine, for example, is crucial for Xenia’s breeding. Once there were balanced products for calcium and alkalinity dosing, today these products have involved, and thanks to the new acquired knowledges, they can provide everything that is necessary in aquarium. Not only calcium and alkalinity, but also magnesium, micronutrients and trace elements, perfect for a correct and most of all for a complete aquarium management. For all the products the suggested dosing is 10 ml for a 100 litres tank once a week. So this is good also to keep a nanoreef or minireef, since smaller quantities are easily dosable with a syringe. Anyway my personal suggestion is a daily dosing with reduced doses. For example in a 300 litres aquarium instead of dosing 30 ml once a week for each product, I’d rather dose 30/7=~4 ml every day. In the morning. In front of a flow pump. The important thing to do is separate the dosage of the products at least 15 minutes one from another. Nonetheless dosing should be calibrated according to aquarium consumption, keeping constantly measured calcium, magnesium and alkalinity (kh) levels, and adjusting dosing according to them, because every tank holds a different number of corals, which have a different element consumption. Equo Coral Reef are sold in 4 increasing volume packages, 250, 500, 2.500 and 5.000 ml. The price is respectively 18,77, 29,70, 74,00 e 129,00 euro. The packages have a cost per litre of 75,08, 59,40, 29,60 e 25,80 euro. My advice is to buy, for the first time, the 250 ml package to test the product, and then buy the 2,5 litres one that looks to me the cheaper one, even if the 5 litres package has the best value for money. Of course it depends on tank dimensions and consumption. You can find more informations about the products on Equo blog, and on Equo webpage you can find also safety data sheets for all of them.